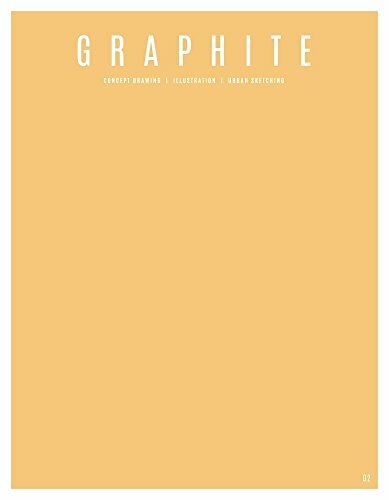 GRAPHITE is a new quarterly art magazine created by 3DTotal. I really enjoyed their first volume a few months ago and now the second one is out. Each volume features certain subjects and in this volume it featured concept drawing, illustration and urban sketching. The artists featured are Jakub Rebelka, Tin Salamunic, Thomas Cian, Susan Yung, Rob Turpin, Molly Mendoza, Brynn Metheney and Yrgane Ramon. It's really cool to discover new artists and their individual styles. The magazine shares with us their creative and thought process. For example, Jakub Rebelka talks about designing steampunk weapons, Tin Salamunic on his freelance career, Thomas Cian has a demo on portrait drawing, Susan Yung talks about urban sketching, Rob Turpin on narrative illustration, Molly Mendoza on her art, Brynn Metheney on designing creatures, and Yrgane Ramon on sketching and illustrating. There's a lot of insight within the 104 pages. As an art magazine, the production quality is top notch. The cover is paperback, paper is matte, artworks are reproduced nicely. The content and interviews are also produced well. The GRAPHITE series is a good source of inspiration for artist and designers. You can either subscribe to the magazine on 3Dtotal.com or get individual volumes as they are released on Amazon.